May 15, 2018 (San Diego’s East County) -- Sidewalk CPR Day is set for Thursday, May 17. The goal of this Southern California campaign is to train approximately 4,000 citizens in “Hands Only CPR,” thus increasing the number of lifesavers in our community. May 24, 2017 (Alpine) -- Would you know how to respond if your child stopped breathing or someone you love had a heart attack? The Alpine Woman's Club is hosting CPR & AED Certification Class on Saturday June 10th from 9 a.m. to 11 a.m. at The Town Hall , 2156 Alpine Blvd. August 9, 2014 (San Diego’s East County) - Every minute that a victim of sudden cardiac arrest waits for CPR, their chance of survival drops by up to 10 percent. 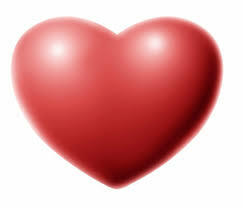 January 21, 2014 (San Diego's East County) -- Each year the president proclaims February to be Heart Month. Would you know how to respond if your child stopped breathing or someone you love had a heart attack? As parents we all want the very best for our children. However when it comes to knowing what to do if our child stops breathing, we panic and call 911. Every year, we hear about children who have drowned in a pool because no one knew how to perform CPR. If CPR is administered within the first two to three minutes the child has a good chance of surviving with no brain damage. After four minutes the child can have severe brain damage and after six minutes the chance of survival is slim. Most parents would like to know how to perform CPR but with their busy schedules it is difficult to find the time to attend a class. The good news is now you can learn CPR online in the comfort of your own home at www.cprpros.com. July 21, 2012 (San Diego’s East County)--The hot weather is among us and many of us will (or already have) head for the water… Pools, lakes, ponds, and beaches mean summer fun and cool relief from hot weather. But water also can be dangerous for kids if you don't take the proper precautions. Nearly 1,000 kids die each year by drowning. And most drownings occur in home swimming pools. It is the second leading cause of accidental death for people between the ages of 5 and 24. February 6, 2011 (El Cajon)--For the past four years, El Cajon Fire Department has been involved in studies for cardiac arrest patients. According to medical officials over-seeing this study, survival rates for these patients increased 1.6% to 9%--a survival rate rivaling some of the top performers in the nation, despite a high rate of elderly persons in the population with multiple health problems. January 26, 2010 (San Diego)--Would you know how to respond if your child stopped breathing or someone you love had a heart attack? As parents we all want the very best for our children. But when it comes to knowing what to do if our child stops breathing, we panic and call 911. Every year, we hear about children who have drowned in a pool because no one knew how to perform CPR. If CPR is administered within the first two minutes, the child has a good chance of surviving with no brain damage. After four minutes the child can have severe brain damage and after six minutes the chance of survival is slim.